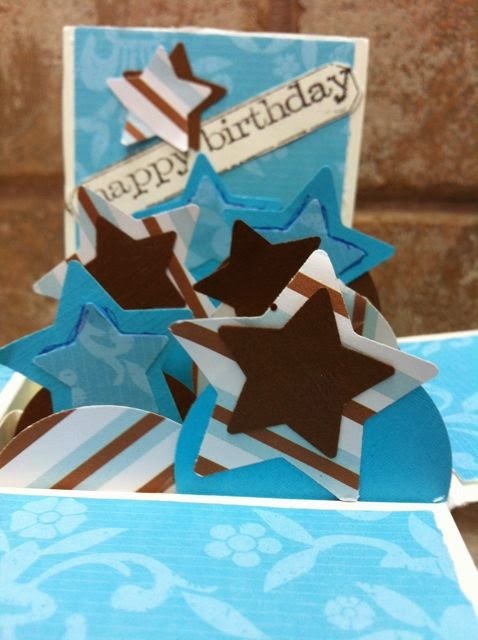 The theme this month at Crafty Card Gallery is birthdays and I’m so happy that today is my day to be guest designer!! Today is a very special day to me because it’s my son’s 26th birthday!! So before I get to my post I’ll say Happy Birthday Jackie Wayne!! So now on to my card. 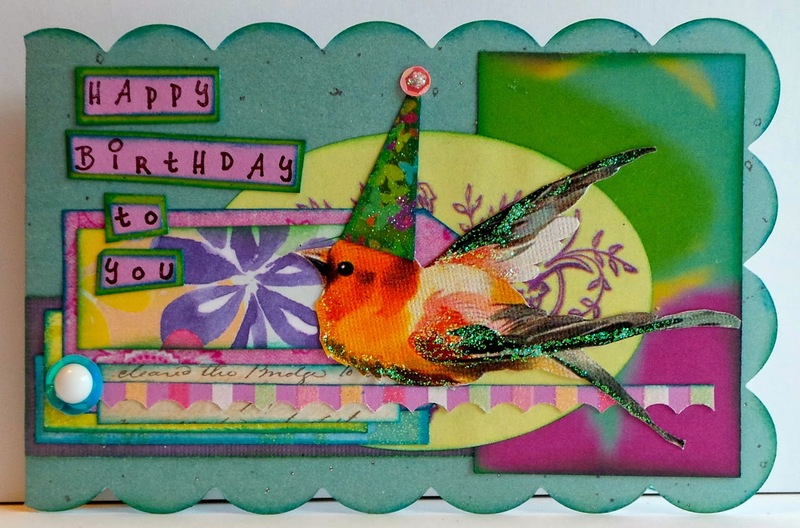 I just loved the digi that I decided to use on this cute little card, its from A Day for Daisies and called Baby Wings!! I made this for a special little girl that has a birthday next month that loves fairies. Hope you like it. You can find all the details about the card on my blog Scrappinwith’Z. I hope you like my card for this month and I’ll see you next month!! It’s my turn to give you some inspiration from the design team! The background you see here is handmade. 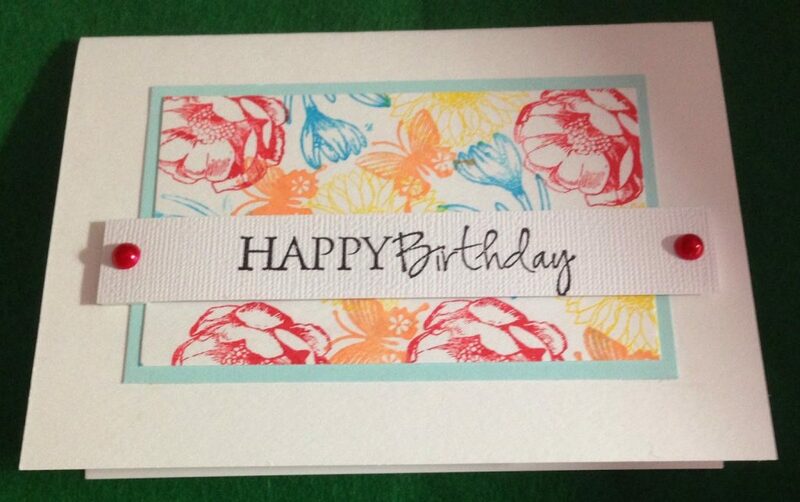 I love the bright colours, and the brightness of the card. It could be used for just about any occassion. I vaguely remember doing this in the past, but it’s been awhile. A friend found a fabulous video on how to do this technique, and I’d like to share it with you. 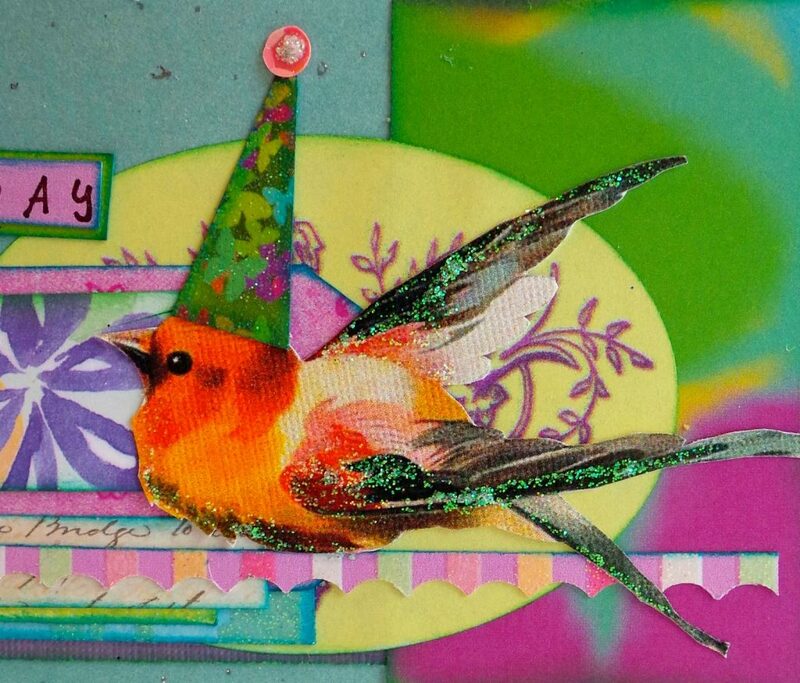 Greetings from the Crafty Card Gallery Design Team! 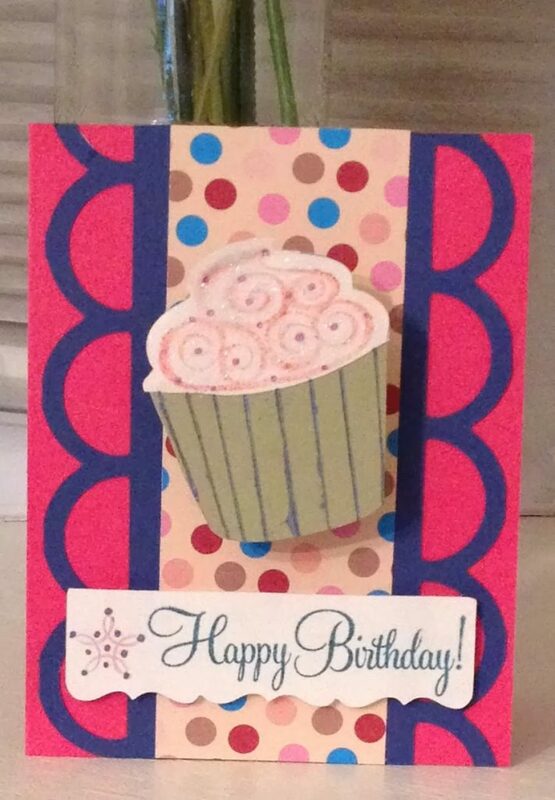 This months challenge was to create a birthday card. I started out with something simple, then decided to be more creative and “think outside the box”– Here’s what I came up with. Thanks for stopping by and feel free to leave a comment. Thanks so much for joining me today for the challenge. Wishing you all a great day. 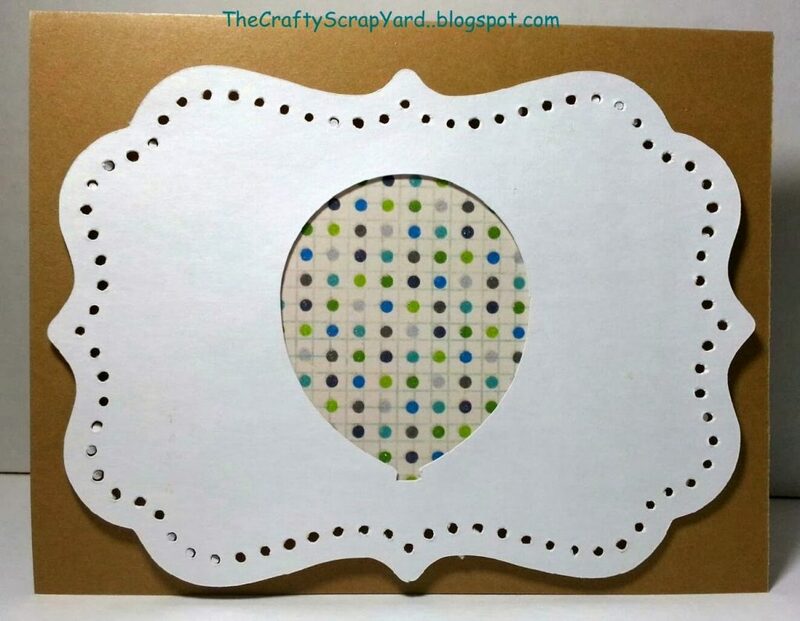 Until next time…..
Today, I’m sharing with you our “challenge” for this month with Crafty Card Gallery design team. For this challenge we we’re asked to make a Birthday themed card. My husband asked me to make this card for his mother who’s birthday is coming up soon as it’s on St. Patrick’s Day. I added some green & blue dots for the balloon to help celebrate the day. 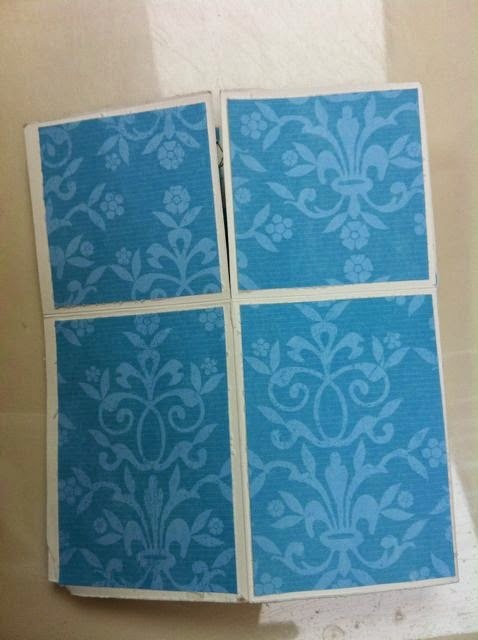 It was fun & easy to make. Now to get it off in the mail!